NorthCoast 260 is a built to fish, not break the bank, affordable quality fishing boat. 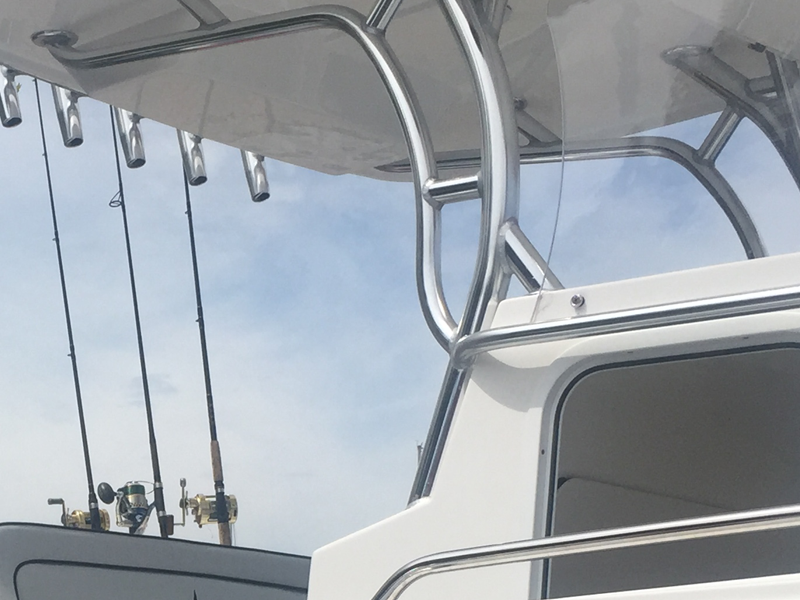 It will all make sense when you step aboard and combine our exceptional molded part components, strength and practicality, with our “all about fishing” philosophy. 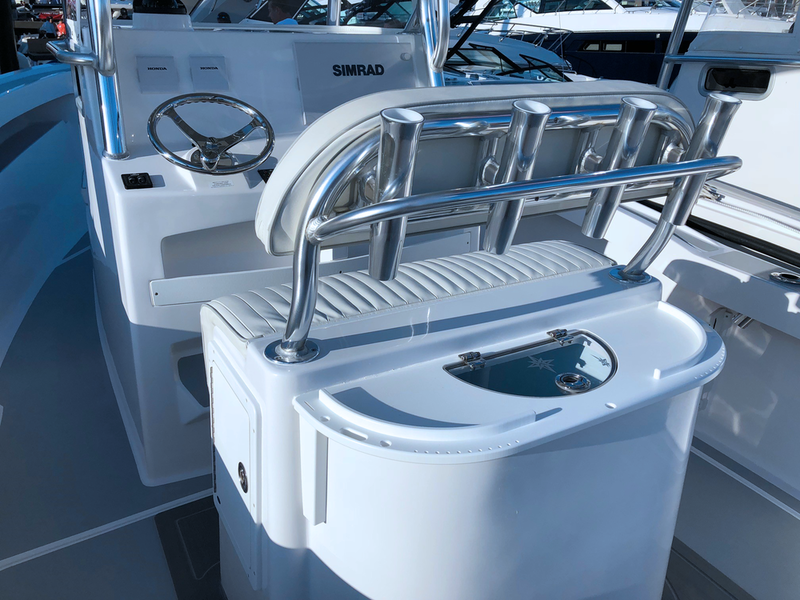 Our fit and finish seem to surprise everyone who steps aboard. We are proud in the knowledge that NorthCoast Owner’s are the real deal, the one’s out there through thick and thin. This new 260 is all about being rugged, versatile, and who fishing performance beats expectations. 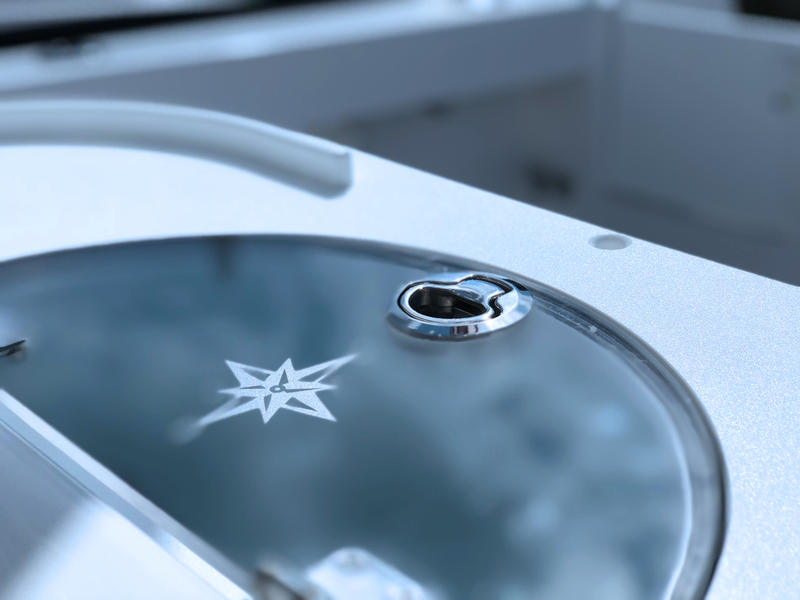 Standard with all the important features required by inshore or offshore fishermen including a 150gal macerated fish box and enormous amounts of storage in the console. DLP Includes Rod holders (4), Cup holders (2) • 35 Gal. Ice Blue bait well, sink & prep station, tackle boxes P&S, storage compartments, drawers, and Battery switches. We could follow the herd and add all sorts of bells and whistles that spin the heads of even seasoned watermen and women. 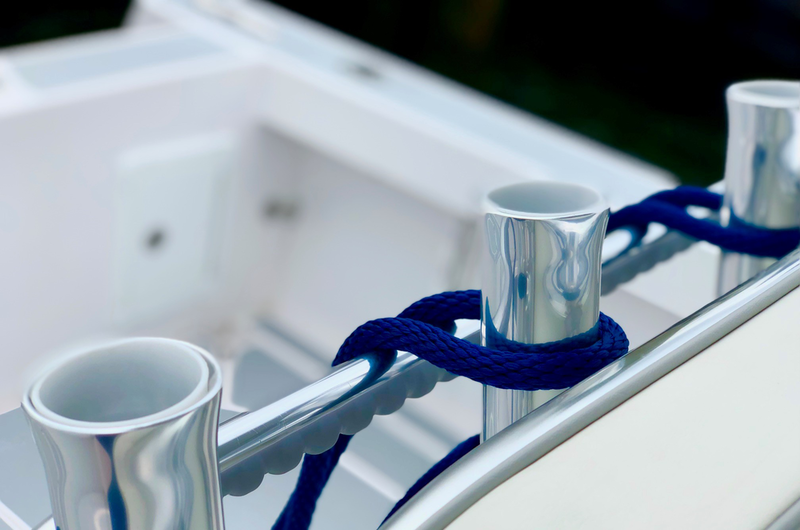 We chose not to- as the flashy items only add cost and length to the real boater’s list of "one more thing" to break. 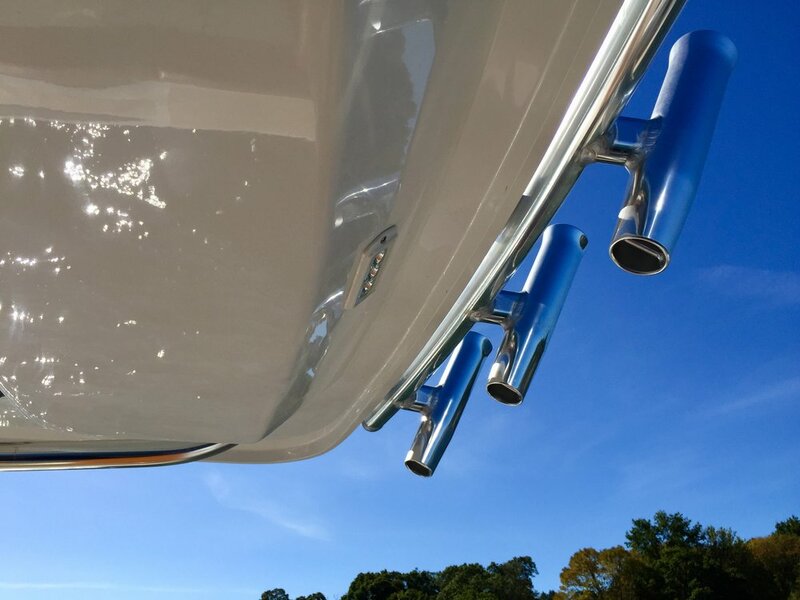 Instead we focus on hull performance, fuel range, and ultimate fish-ability. 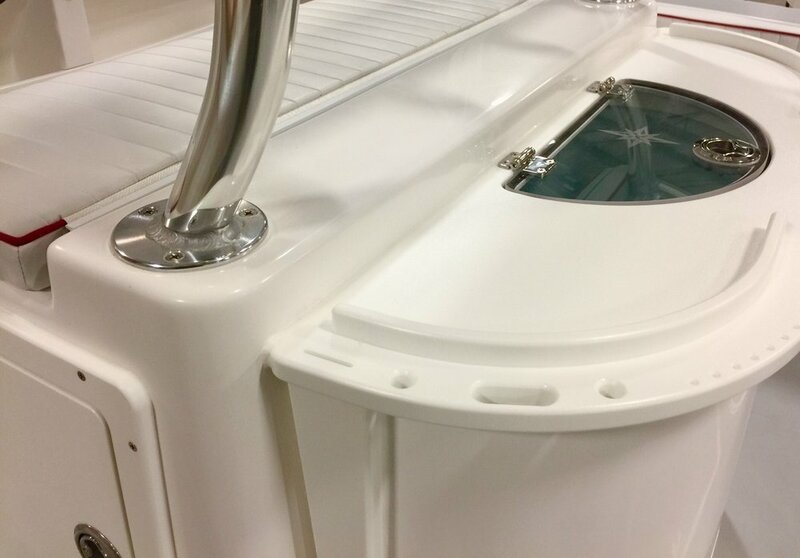 New for 2019 is the available Twin 250hp option and 140 gallon, macerated fish box found forward of the console- you can stand against the gunnel while fighting fish without having to kneel. Our T-Top has an electronics box above. Room for two twelve inch screens on the dash, throttle controls, trim tabs and switching for the overhead LED lighting, cockpit courtesy lights, and stand up Head compartment below.